Photos & Postcards Section Troy Cox has submitted a large collection of Family Memorabilia. The collection is on the William R. MILLER & his connecting families. Surnames: ANDREWS, COX, DICKERSON, HUBBARD, KLEMME, MILLER, PRUETT, ROYER & contains vintage photos, obits, census, military info + more. This is a fantastic find if you are related or not. Surname Section B. KNOTTS is hoping someone is researching the surname HALBERT. Elihu HALBERT lived near Nauvoo in the late 1840s or early 1850s. Elihu father Joel died at his son's home. Terry HICKMAN reports the he has a direct line of HICKMAN family members who lived in At. Alban's Township from 1836 to 1870's Please drop terry a email if you are working on HICKMAN too. Stephen FISHER has four family connections to Hancock Co. They are ASHBY, FARRIS, FISHER, & SMITH. Darleen COLE has changed her email address as of Nov. 28, 2007. The Surname List now reflects the email change. Thank you, Darleen for keeping your email updated. Cemetery Section - see Holland & Moss Ridge Cemeteries Sarah DONLEY has submitted 8 tombstone photos from Holland Cemetery, St. Mary's Township. Surnames: HOLLAND, GALLOWAY, & NEWELL. Thank you, Sarah. Sarah DONLEY has submitted 8 tombstone photos from Moss Ridge Cemetery, Carthage Township. Surnames: GALLOWAY, NEILL, RIEL, RUGER, & WHITE. Thank you once again, Sarah. Also a photo of HUBBEN tombstone was donated by unknown submitter. Thank you whomever you are. I found a website "Remembering Pulaski" in Augusta Township. The website offers not only the story of Pulaski but also Veterans' Honor Roll, Photos & free cemetery lookups. It is a wonderful site. Libraries & Societies Section Attention! The Hancock County Historical Society in Carthage is an incredible research facility to visit or request research lookups. They have a tremendous windfall of resources right it their finger tips. The volunteers can accumulate a wealth of genealogical data in minutes with their ingenious index card system. They will also provide Courthouse research and photograph tombstones. They have email access & reasonable fees. The La Harpe Illinois Historical & Genealogy Society also has a treasure trove of Hancock County resources available, especially the northern townships. Besure to check out their page. 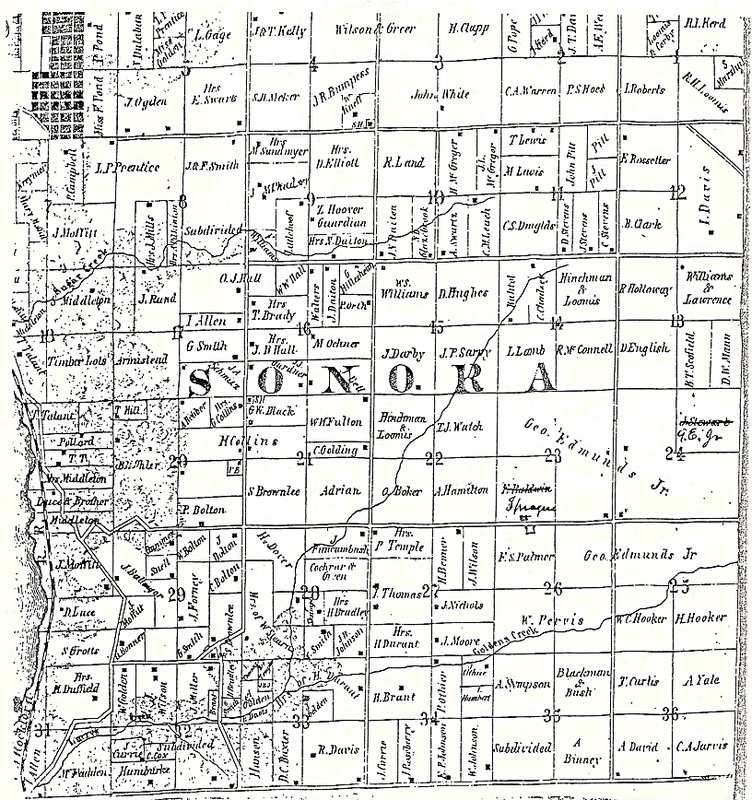 Map Section Thanks to Carolyn LACEY noticing the 1859 Sonora Township Plat Map was missing sections 25 - 36 & reporting it to me, there now is a 1859 complete map of Sonora Twp. Judy BURNS submitted obituaries for George PRIESSMAN, Frederick William PRIESSMAN, Mrs. Wm. PRIESSMAN (Esther MOURNING). Thank you Judy. Becke DAWSON submitted a Purlina E. PYLE Obituary. Thank you Becke. Young Girl & baby Carthage, IL. (May 1900) Possible MATHEWS children. See Gallery 3. Woman in hat holding baby Carthage, IL. (May 1900) Possibly Ella L. CONYERS MATHEWS and her daughter, Grace. See Gallery 3. One of the unidentified photos has been identified!!! See - Gallery 2. Olive Cordell wife of Thurman. 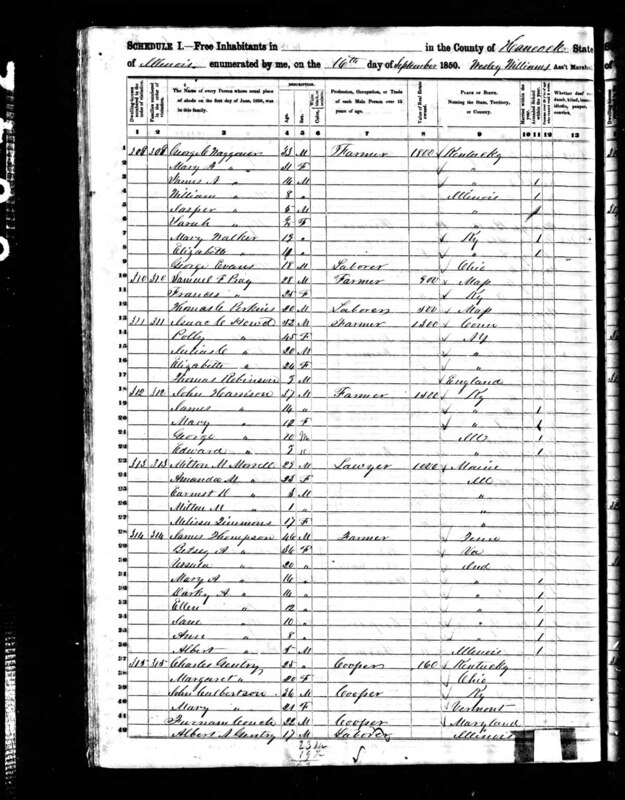 James W. Harney Sr. has submitted the surnames: CAMPBELL, DAW, HAGGARD, HARNEY, & HORNEY. James also has a Website. Thank you. Marcia C. FARINAhas several Hancock Co. IL. surnames: ALEXANDER, BARB, BARBE, BECKWITH, CURRY, HADLEY, LAWRENCE, LONG, McGEE, MORT, MOSLEY, MUNSON, PARKER, POGUE, ROBINSON, SAMMONS, SAMONS, & STOEFFLER. Marica also has a fantastic website. This is a new section for Hancock County ILGenWeb, and we're starting off with 2 rare documents indeed. 1839 - Summons document - names included are: William SMITH, George ROBINSON, Ortho WILLIAMS, Westly WILLILAMS, & Sheriff BACKENSTOS. 1842 - Illinois State Senator J. C. DAVIS judgement document. Does anyone have any old photos or poatcards of Hancock County? Please consider submitting them. Especially for the towns and villages of Adrian, Basco, Bentley, Colusa, Denver, Elvaston, Ferris, Fountain Grove, La Crosse, McCall, Niota, Plymouth, Pontoosue, Stillwell, Sutter, Webster & West Point. Augusta, Illinois Postcards: 5 different views of old Main Street, Methodist Church 1907 & 1911, & Presbyerian Church 1913, & High School (1912). Bowen, Illinois Postcards : 11 Bowen Illinois views including - Old Main Street, Christian, Congregational, & Methodist Episcopal Churches, Public School, & McCormick Thraster. Carthage Illinois Postcards : 10 Carthage Illinois views including - Old Jail House, Jailer's Parlor, Carthage College Buildings (Denhart, Science, & Main), Methodist Church, & Moss Ridge Cemetery (Bluff veiw). Hamilton Illinois Postcards: 9 veiws including: 3 churches, 2 banks, I.O.O.F. Building, Broadway Street, & 2 homes (Myrtle DENNISON's & one unknown). La Harpe Illinois Postcards: 5 veiws including - City Park, Main Street, Congregatioal Church & Episcopal Methodist Church. Nauvoo Illinois: 34 views - including - Nauvoo's Historical past to present landmarks. Warsaw Illinois Postcards: 9 Warsaw Illinois views including - Old Railway Hand Car, Huiskamp's Shoe Factory, Old Main Street & Ralston Park, River View, The Little Brick School, Popel-Giller Co. Tonic Postcard. Augusta, Illinois - Vintage image of First National Bank Note. Dallas City, Illinois - Vintage image of First National Bank Note. La Harpe, Illinois - Vintage image of First National Bank Note & F. M. RODERICK Jewelry Store Postcard. Nauvoo Illinois - Historical Images of Nauvoo Bank Notes. Plymouth, Illinois - Vintage Image of First National Bank Note. Judy PARSONS has submitted the surname MARTIN. Her G Grandfather was Charles Newton MARTIN (b. 1856). Darlene COLE has CANADY, KENADY, KENNEDY, MORRIS, REGANS, & TWIDWELL in her family lineage. She says spellings vary excapt for MORRIS. She's connects to James REGAN (b. 1802) and Tabitha TWIDWELL (b.1808) both in NC. Tabitha was a daughter to Obediah & Elizabeth (CANNADY KENNEDAY) TWIDWELL. Charles JOHNSON is researching the surname McCORMICK. They resided in Bear Creek Township during the 1860, 1870, & 1880. Barbara HARMAN is wanting to hear from others researchers working on the surnames: BRADEN, HUNTER, RANDLE, STEPHENSON, & STEVENSON. She participated before in the old surname list. **Now she has a new email address. Jeremy VANCE has submitted the following surnames: COGSHALL, SMITH & VANCE. Jeremy reports these families lived in Niota, & Pontoosuc at one time. He wishes any information about these surnames and where relatives moved. Lori SCHOCKNMYER has added you 2 surnames: JACKSON, & MYERS. Jack PHILLIPS enters the surname WILLEY also spelled WILLIE to the surname list. He reports this family moved from Dickson County TN. to Hancock County IL. They remained in Hancock between 1635 - 1845. Ron STEPHENS is gathering data on the following surnames: BEATTY, BRONAUGH, CRAWFORD, GILMOUR, MOFFAT, & WORNOM. Lynn Lewis would enjoy hearing from other ELLIS, ERVIN, SCOTT, & STEVENS researchers. 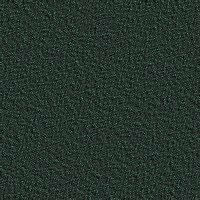 I wish to apologize for the delay on posting contributions recently to this site. My time has been spent with my family. My sister -in-law was seriously injured in a tragic boating accident. I have been busy helping plan a benefit for her and making a website. Current Hancock County, Illinois Newspaper websites: The Hancock-Henderson Quill: List of Deaths starting Feb. 1999 to present (shows date, name, age, & town), The Hancock County Journal Pilot: Has recent obits. Uncle Dale's - Readings in Early Morman History - several town newspaper articles from 1840 - 1852. Kenneth ANDERSON has submitted the surnames: ANK, LYON, METTERNICH. Thank you Kenneth. Pat HUBBELL is investigating the surname LISKEY and varies spellings LIESKE, & LIETZKE. Military Revolutionary War Pension Application for Daniel SPENCER - Courtesy of Blaine BRADY. I appreciate your contribution to the military section. This section is still pretty bare. Does anyone less have military items to post? Darlene PELLOR has joined this section with her family lineage descending from Jacob BOLLIN & Helenora Agnes CHANDLER family. Jan KNAPP would like to present her lineage of William DAVIS family. William came from England and served in the Revoluntionary War. 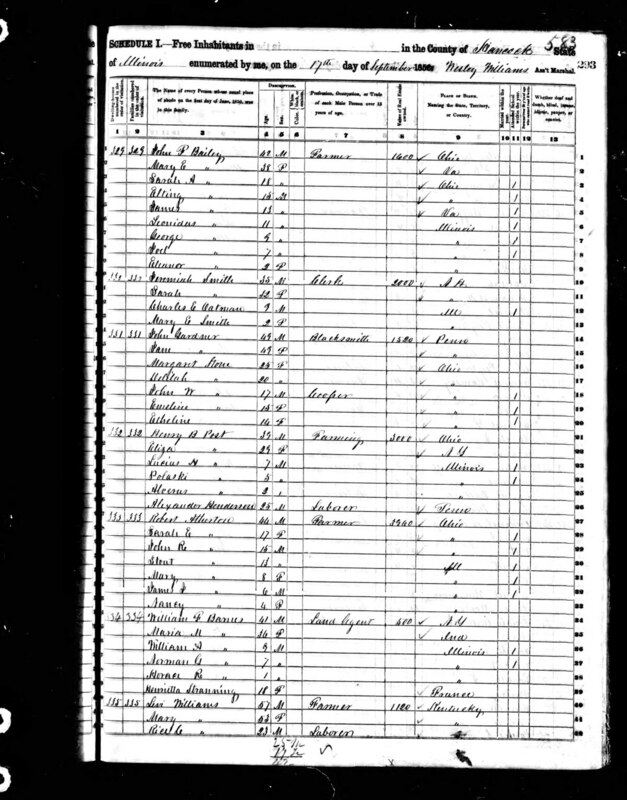 David WOODARD has been very patient waiting for his ancestor's, David WOODARD family group sheet to appear. Surnames include: BOWMAN, BOX, CODER, LAWLER, SMITH, STURGIS, WHITTINGTON, & WOODARD. 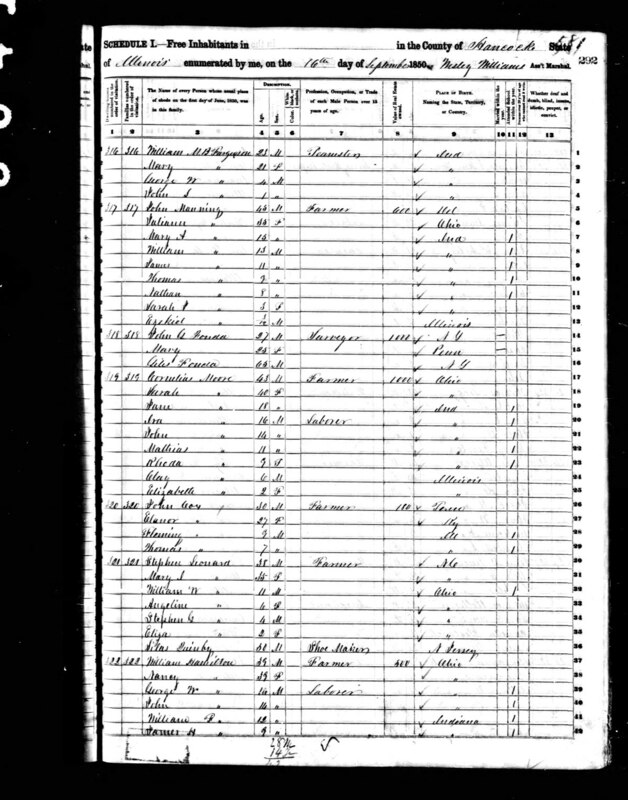 Pat STRICKLAND SHINDER has submitted a family group sheet of Job G. & Nancy STRICKLAND RUSSELL. Surnames include: DAILY, LENIX, PACE, RUSSELL, STRICKLAND, & WRIGHT. Thank you Pat for being so patient. Audrey BOWNE is researching the surname BERG. Particularly the Joseph (Jos) born abt. 1840 in Prussia & died 1925 in Leavenworth, Kansas. Judy BURNS has submitted the following surnames: BRYANT, CRANK, JOLIDON, PRIESSMAN, THOMPSON. Anthony PRIVOZNIK wants to hear from fellow researchers looking for HARRY & YATES. Bette LINDGREN surnames are: BEEDLE, ELDER, & JOHNSON. Links to the following Hancock County Illinois cemeteries. This pages have burial lists & some Tombstone photos. Green Plains Cem., Fountain Green Cem., Majorville Cem., Roberts Cem., Sanderson Cem. (also known as Brenemen), St. Simons (also known as Lincoln Catholic), Webster Cem. in Fountain Green Twp., Willis Cem., Wright Cem., & Yetter Cem. Browning Cemetery - Update by Mary KELLER - burial of Carl Ray STUEHRENBERG. Mt. Vermon Cemetery (Old Baptist Church) - Update by Mary KELLER - burial of Harold Dale KRAUSHAAR. New Page added - Cemeteries Additions / Corrections by Fellow Researchers. Augusta City Cemetery - LouAnn CAMERON donates burials info for surnames: BOOKER, RIDINGS, TOMLINSON. Harmony Cemetery - Daniel LIONBERGER - Information on LIONBERGER burials. Pulaski Cmemtery - LouAnn CAMERON -Burials & Information on surnames: BRIDGES, NEEL, RIDINGS, SMART, STINSON, TOMLINSON. Scott Cemetery - Pat LEWIS McDOWELL has submitted info for Scott Cemetery on Hannah PRUETT MULLEN (wife of Patrick), James Allen MULLEN, & his wife Eunice Unity FUGATE MULLEN. Walker Cemetery - Patricia B. ALLEN has contributed her additional information regarding David ALLEN burial. Obituaries Mrs. Virginia PATTERSON obit. Thanks to a visitor reporting a broken link for these pages (transcribed) we now have census images: 290a, 290b, 291a, 291b, 292a, 292b, 293a, 293b. 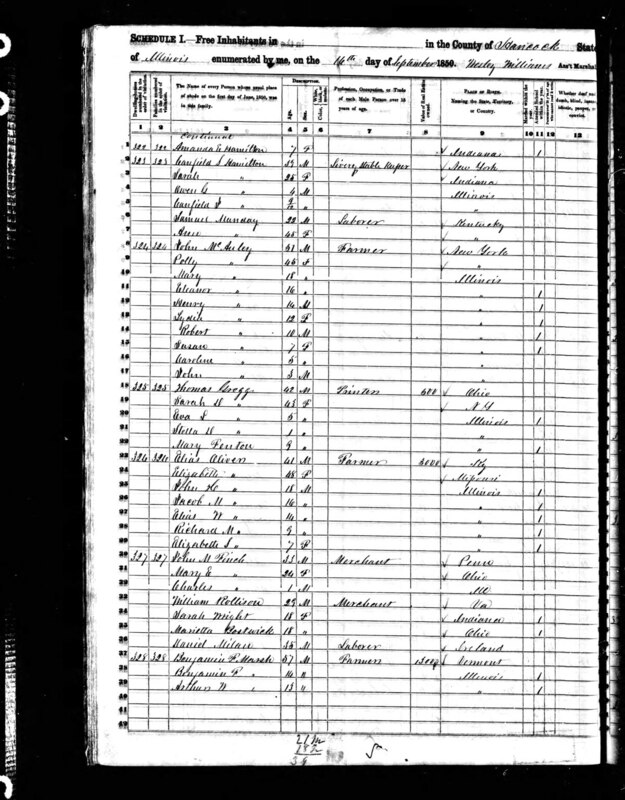 Links to Hancock County Illinois Mortality Schedules 1860 & 1880. Unidentified Photos I have been reviewing the Unidentified Photo Galleries and checking for current email addresses. Here is an update for Marcia C. FARINA . Also Marcia has a marvelous website titled "Deep Roots in Hancock County, Illinois". Go take a look!! Cemeteries - see Wythe Congregational Cemetery - click on the tombstone to the right. Wythe Congregational Cemetery Burial Index - courtesy of Virginia Rothman. Thank you so much for devoting your time to this project, Virginia. Marriages / Anniversaries G. E. HETRICK & Miss Lilla GOODWIN marriage license. Cemeteries Bethlehem United Church of Chirst Cemetery records has been re-indexed. 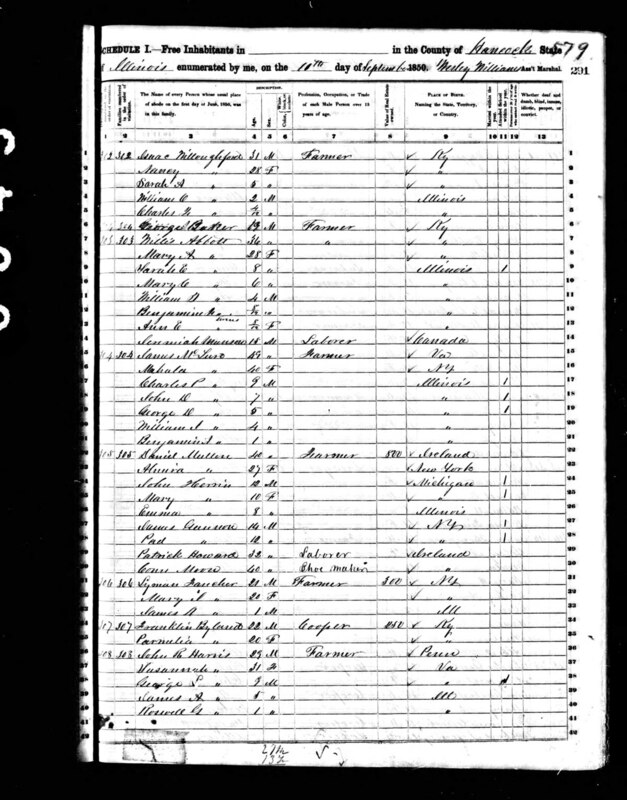 Military - see 1883 Hancock County Pensioners List 1883 Hancock County Illinois Pensioners List- Alphabetical order by Surnames &/or Counties. Military - see Soldiers & Sailors Home Resident Index 1887 - 1916 Soldiers & Sailors Home Resident Index 1887 - 1916. Vintage Photo of "The Senior Class at La Harpe, Illinois" Can you identify anyone in this photo? Blaine A. BRADY has submitted a link to The BRADY Family website. This website includes 1118 descendant of Nauvoo - Sonora Township residents, Terence and Bridget Brady. With extracts from Nauvoo newspapers and other items. Sounds like a wonderful website, Blaine. Thank you for allowing a link to it. 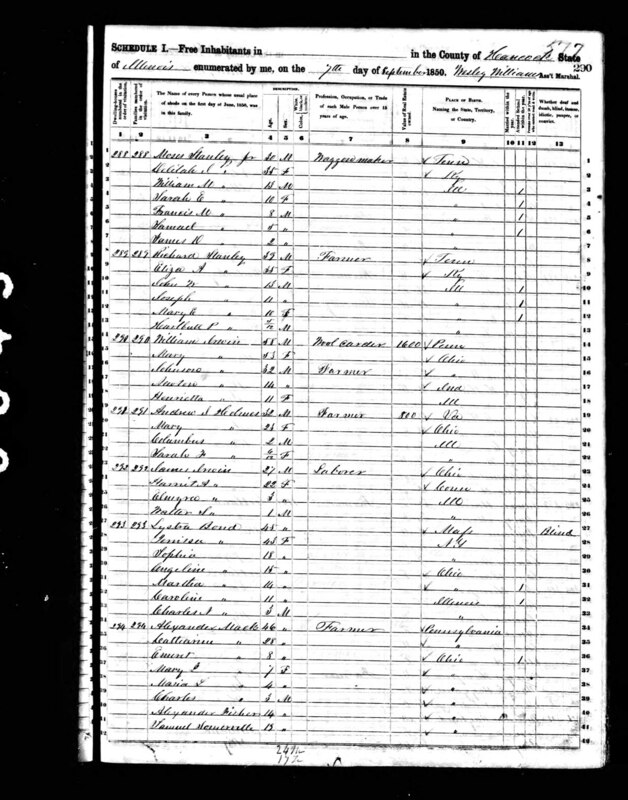 Census / Taxes -- see 1850 Mortality Schedule 1850 Mortality Schedule for Hancock County Illinois is now online donated & transcripted by Eli HARPERMAN. Thank you Eli. I'm sure fellow researchers will benefit from your great contribution. Does anyone have other mortality schedules? LuAnn GOEKE has submitted biographies for Calvin Americus & Marion Calvin ECKLES. Thank you LoAnn for your contribution. Tim SHERMAN participated in the old surname list & now returns with a new email address for: JOHNSON & SHERMAN. Nancy SHEVOKAS has 6 family surnames who originally came from Nauvoo, Illinois & wishes them added to the new surname list. Her surnames are: DIEMER, McGREGOR, HOBBS, SCHEU, HENRY, BRANT. Thank you, Nancy & lots of luck. Paul PETTIT jumps in the surname pool with his family of SWISHER. Thank you, Paul. Rosemary TENVORDE joins the new Surname List with EXON, & STROUP. 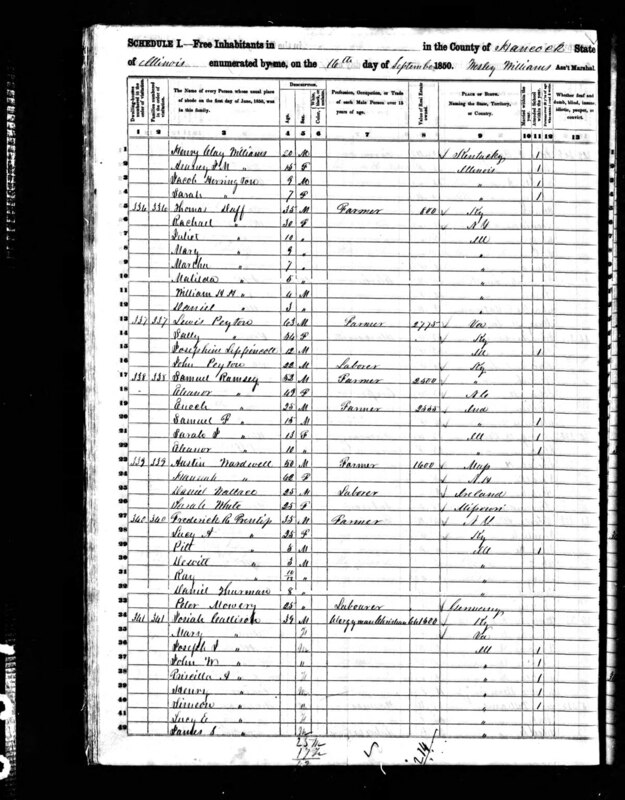 Rosemary reports the one branch of her family, Mary Ellen SMITH (of Ursa, Adams County, IL.) married Samuel EXON and after his death, Andrew Jackson STROUP. They all lived in Rocky Run Township, Hancock County, IL. She has done quite a bit of research and has published a book titled "SMITH, KEIM, McCORMICK Families of Ursa & Adams Co. IL. ", which she presented to the Hancock County Historical Society on April, 9, 2007. Congratulations, Rosemary on being a new author. Don KOEPP wants to throw in his surnames lines of CASSINGHAM & ZASTROW in hopes of a few nibbles. I hope you get a bite or two, Don. Charles KENNEDY has entered his surnames KENNEDY & HEDGECOCK. He is trying to find information on Emanuel KENNEDY b. 2 April 1837 in North Carolina. Emanuel noved to Hancock County after the Civil War. It is his understanding that Emanuel lived with other relatives from NC., James & Patience HEDGECOCK. Can anyone help Charles? 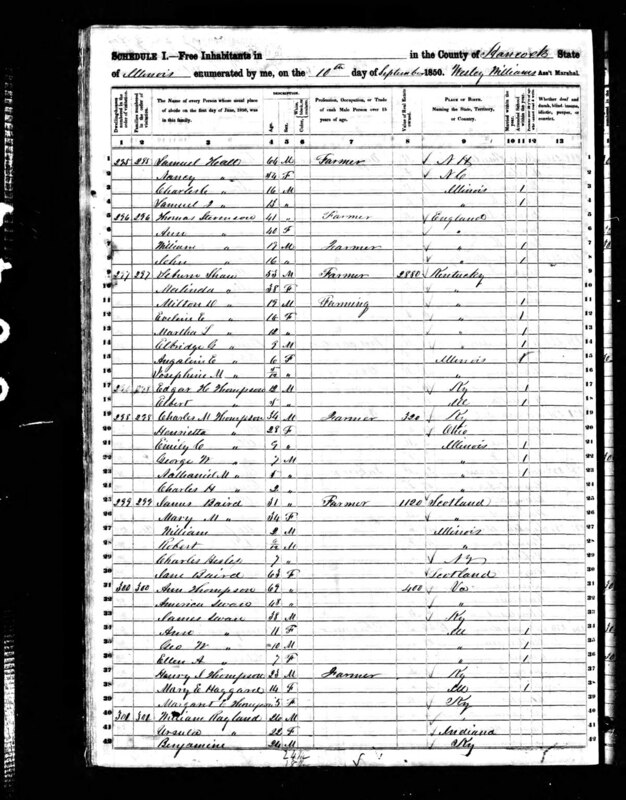 Jeanette LOOMIS HAGAN is researching her families surnames - GERHARD, LOOMIS, & VAN TASSEL. They resided in Hancock County in the 1830's through early 1850's. She is seeking any information others may have on these surnames. Thank you, Jeanette for participating & good luck. Laura NEVILLE wants to hear from other researchers working on the surnames of LINCOLN & NEVILLE. Thank you Laura. The surname GLYNN has been added by John GLYNN. He particularly seaarching for Patrick & Darby GLYNN families. Thank you, John for participating & Good Luck. Nancy Nichols has submitted the surnames: HAMMA, HEBERER, HOUGHTON, LEACH, RAHN, RONNER, STELZNER, WALTHER. I hope you get lots of nibbles, Nancy. Pat wishes to hear from SPIKER, FREEMAN, HUTTON, BROCKWAY and BRYAN researchers. Thank you, Pat for submitting your surnames. Mary Jane wishes to hear from other researchers working on the surnames: BEADLES, FAWVER, HARRISON, HUFF, JACKSON, RINEHART, SHORE, SIEPEL. Happy Hunting, Mary Jane. All Sections Complete Hancock County ILGenWeb make over. A Brand New Look & Layout - by Judi GILKER your new Hancock County ILGenWeb Coordinator. It was my pleasure to redesign this site & I hope everyone enjoys the new look. You can show your apprecation by donating your pedigree ancestry and fill up the pretty pages with helpful genealogical history. Why not start today? David W. Reed extents everyone an invitation to visit his website ( Visit Our Family Tree ) Surnames include: ADAIR, BURR, CAMPBELL, CARSON, CRAWFORD, CRITTENDON, FISH, GRISWOLD, HALLIDAY, HARBIN, JOLLY, KING, LEAVITT, MARET(T), MESSER, MINTON, MOSS, OWENS, PRUITT, REED, STEEL, TYLER, WADE, WEBB and associated family lines.